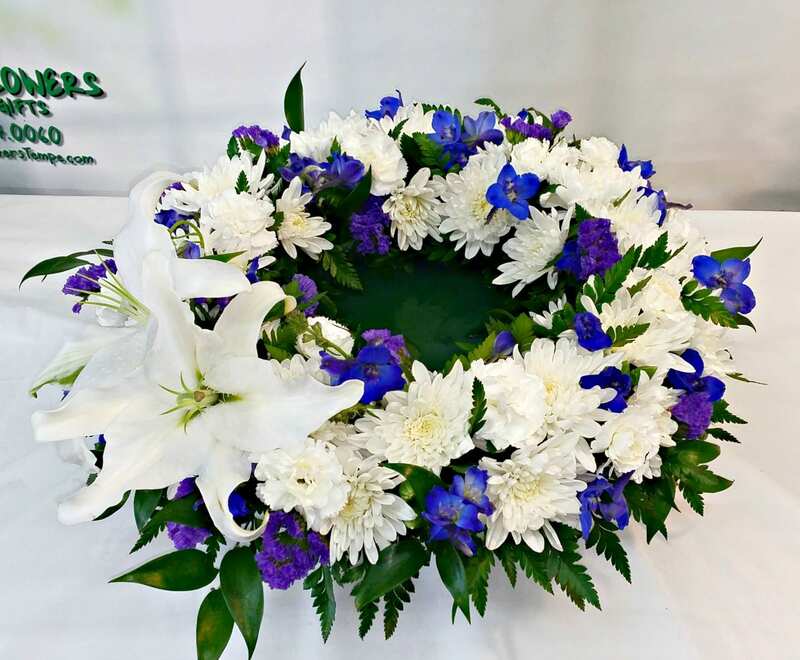 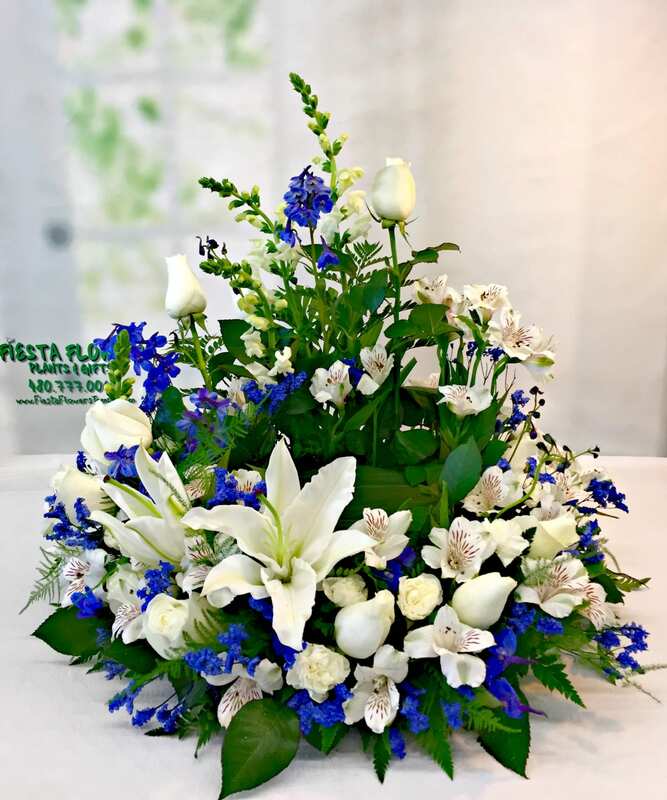 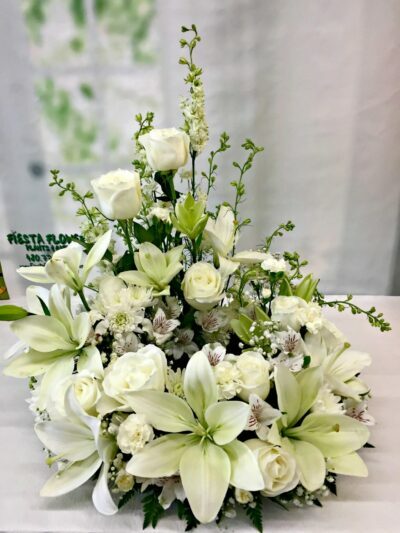 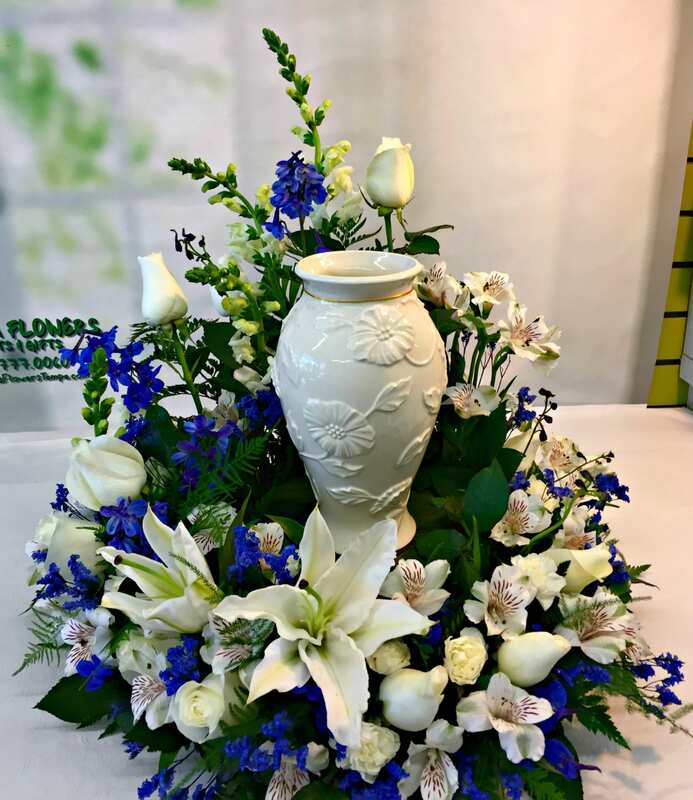 Our Eternal Memory Funeral Urn Ring is designed to surround the Funeral Urn on all sides in beautiful white flowers with blue accents. 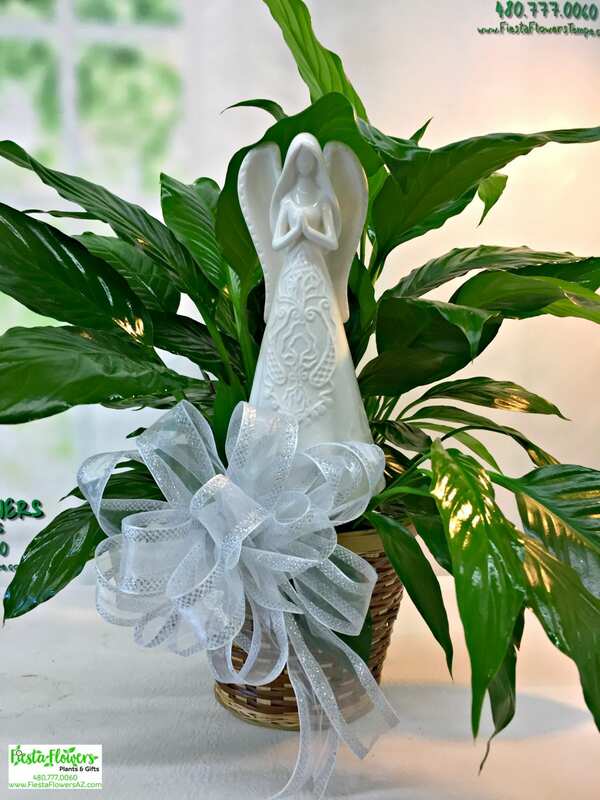 The Urn has a specially designed place to sit in the center of the arrangement. This elegant asymmetrical design includes white Asiatic Lilies, Mums, Roses, Alstromeria, Mini Carnations blue Delphinium and blue Misty.